(somebody yells) Moe's a S.O.Q.!!! Moe knows the struggle, it's his backyard. I can give you more, but is you ready for what's in store? What if God sent out that Call? Would your Faith be filled with Soul? but I chooses to make Faith worth While... and wake souls up in style. Please don't confuse me with a Saintly Sinner, or a Sinning Saint, but do you see these words that my soul paints? "Bringin' today the music of tomorrow". to cure the pain as well as the sorrow, our pride and ego we must swallow... word to my nig--- nah, BRUTHA Hollow. ©2008 M.O.E.C.A.S.H.™IRIE. No parts of or the entirety of this composition may be reproduced without the proper consent and authorization from its author. First, Biggup to Narcy for standing up for Arabs and setting the record straight on the current state of affairs in the Middle MuthaBlessin' East. Yea, there might be a lotta ballers down there but not everyone's rich, especially not in places like Palestine or Iraq. Secondly, WTF was Bussa Buss thinkin' when he hit the studio to record this trash? Seriously though, did he think that it wasn't gonna offend people, notwithstanding the fact that Arabs and Muslims are currently under a lot of scrutiny, prejudice and discrimination these days? The best way to overcome ignorance is to combat it with intelligence, knowledge and wisdom. That being said, Busta just put himself in my "I used to dig your vibe, but Not Anymore" List. Oh... and FTR, it's ARAB not Ay-rab. CALLING OUT ALL HUMANITARIAN ACTIVISTS! Over the course of Summer '08, I met up with a high school friend of mine who introduced me to Song For Africa / Canadian Artists For African Aid, a humanitarian movement I am very proud to promote, spread the word for, volunteer with and be part of. I'd like to take this moment to share with you a bit more about SFA's background and objectives, hopefully it will inspire in you the desire to join this worthy cause and help make a positive impact in this world. 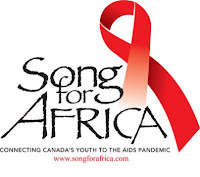 In the spring of 2006, several up and coming and popular Canadian musicians came together to write and record a music single and video called A Song For Africa to raise awareness of the AIDS pandemic in Africa. These artists included Billy Talent, Choclair, Damnhait Doyle, Kyle Riabko, Not By Choice, Luke McMaster, Big Sugar, Simon Wilcox, Rob Wells and Easily Amused. On August 13, 2006, the single and video premiered at The International AIDS Conference in Toronto, ON in front of 30,000 delegates. Since its premier, the music video has been in medium rotation on Much Music and the single has placed #2 on the Canadian Music Charts. Several radio and television stations including CHUM FM, E Talk Canada, ET Canada, CTV News, CBC News, Global TV and Much Music have all been extremely instrumental in lending their support to furthering the success of this project and raising awareness of the AIDS pandemic in Africa. The non-profit organization Song for Africa/Canadian Artists for African Aid Inc. (CAFAA) was created in February 2007. Their objective is to educate Canadians on humanitarian issues in Africa, and to inspire change. In collaboration with local contacts on the ground, CAFAA will bring the reality of everyday life in Africa to a Canadian audience. The brainchild of Darcy Ataman, it seeks to build upon previous initiatives such as the ‘Song for Africa’ record and documentary. Members of the Canadian entertainment industry as well as private sector donors, governmental agencies, and non-profit organizations, both in Africa and Canada, have created meaningful partnerships in order to help spread the message. * To find out more please check out the official Song For Africa website: CLICK HERE! * If you're on Facebook, join the Song For Africa fan page: CLICK HERE TOO! "It isn't that hard to make a difference, all it takes is a little persistence". A fresh new blog has been created to offer creative writers a venue on the web to share their gift with the world. 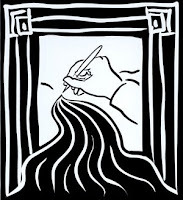 The blog is called "Powerful Poets" and we're currently seeking up to 100 poets to join up and contribute. If you are interested, please don't feel shy or hesitate to let me know and I'll give you more info. To check out this cool new blog of poetry, CLICK HERE! 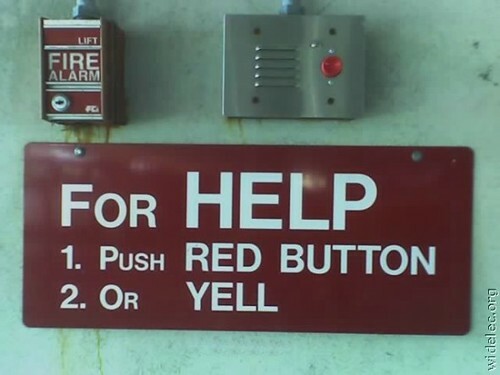 PIC OF THE DAY: Got Help?! IRIE Realm™: Music, Spirituality & Truth... that's what it's all about. IRIEverse™: Bored out of your mind? I feel your pain. JAM OF THE DAY™: Kanye West "Heartless"
Sand Tearz... writing me writing you writing us. ©2008 M.O.E.C.A.S.H. / Naibara Publishing Co. / I.R.I.E. All Rights Reserved. No parts of or the entirety of this composition may be reproduced or published elsewhere without the proper consent & authorization of its author. Thank you for your cooperation. 3. Life is your individual journey of Good VS. Evil. Every day is a test to reach your ultimate spiritual best by following in the Prophets (YEA, ALL OF THEM!) footsteps. Okay... let me begin by saying I'm no religious fanatic so this Lesson has more to do with clarity of conscious than anything else. See, if you look at life from the perspective that there are two major "forces" battling each other, than you will realize where we all fit in in the greater scheme of things. Within each and everyone of us, we were designed with ability to do either good... or the opposite, which is bad. People like Hitler, Saddam and Bush, have all succumb to their evil sides but falling for whatever temptations they were allured by. Their motives may be driven by greed, power, control or any other vice evil can use as a device against us. 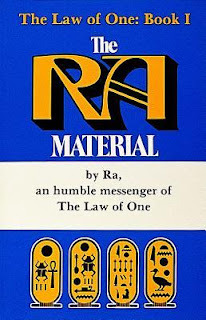 Men who are put in positions of great influence and who are weak to their "evil side" cause harm not only unto themselves (by lowering their chances for salvation, entering paradise, or whatever other possible after life scenarios that exist out there) but also cause great damage to the entire world too. On the flip side, men like Brother Martin Luther King, and women like Mother Theresa, (may God bless their souls) who follow the righteous path of uplifting people, enhancing their faith and stay true to God through acts of goodness are the ones we revere, and whose memories we will forever cherish. Why? Simply because doing good unto others in this world reaps more rewards not only in this life, but the next. In essence, we're all fighting the same fight. Overcoming Evil with Faith, overcoming Hatred with Love, overcoming Tyranny through Justice, overcoming our flaws through meditation, overcoming fears through prayers, and ultimately seeking to become our spiritual best... the best human being we can be. You don't have to be rich to be able to make a difference and more good in this world, sometimes donating time is more than enough. Even better is helping by lending your expertise or skills, and we're all blessed with those. A comedian can enrich our lives through laughter, a doctor can do the same through diagnose and treatment, and a musician can make you feel like you're not alone in your pain. As for following the Prophets footsteps, whether it be Muhammad, Moses or Jesus (blessings upon them all), that is a personal and individual decision we make with God directly. I'm not here to say which road is the best, but to demonstrate that any road towards God is worth it in the long run. However, no road should be too extreme because that leads to perversions like Radicalism or Fundamentalism, but that's a totally different topic for another blog. In short, focus on empowering your soul through good positive deeds and voluntary actions of increasing your faith and you will see that life is easier to digest that way. But keep screwing people over, and you keep screwing yourself over in the end. ©2008 M.O.E.C.A.S.H. / I.R.I.E. / Naibara Publishing Co. All Rights Reserved. No parts of OR the entirety of this composition may be reproduced elsewhere without the proper consent and authorization of its author. Thank you for your cooperation.